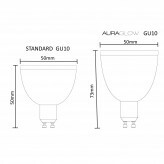 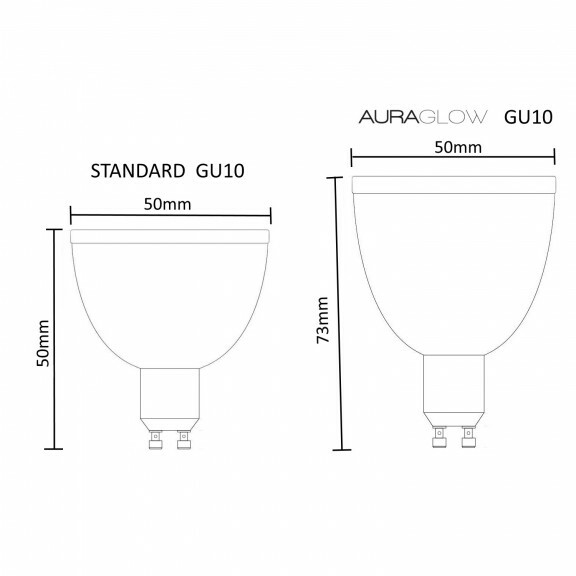 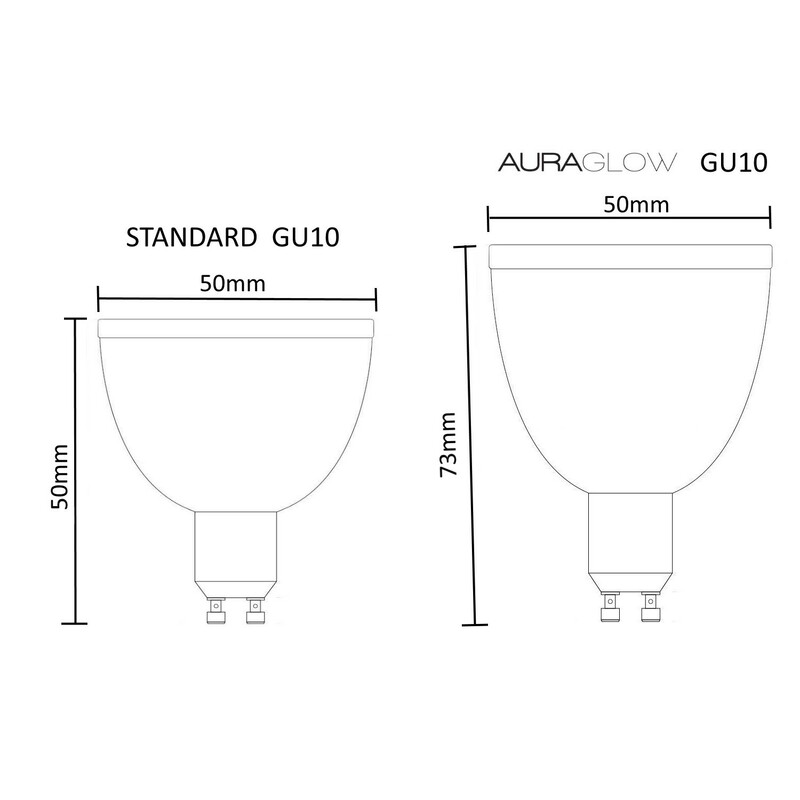 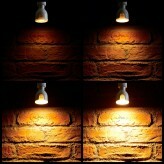 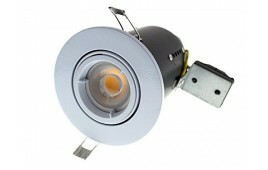 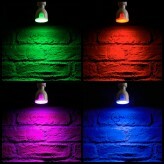 The light bulb has been reinvented - with Auraglow! 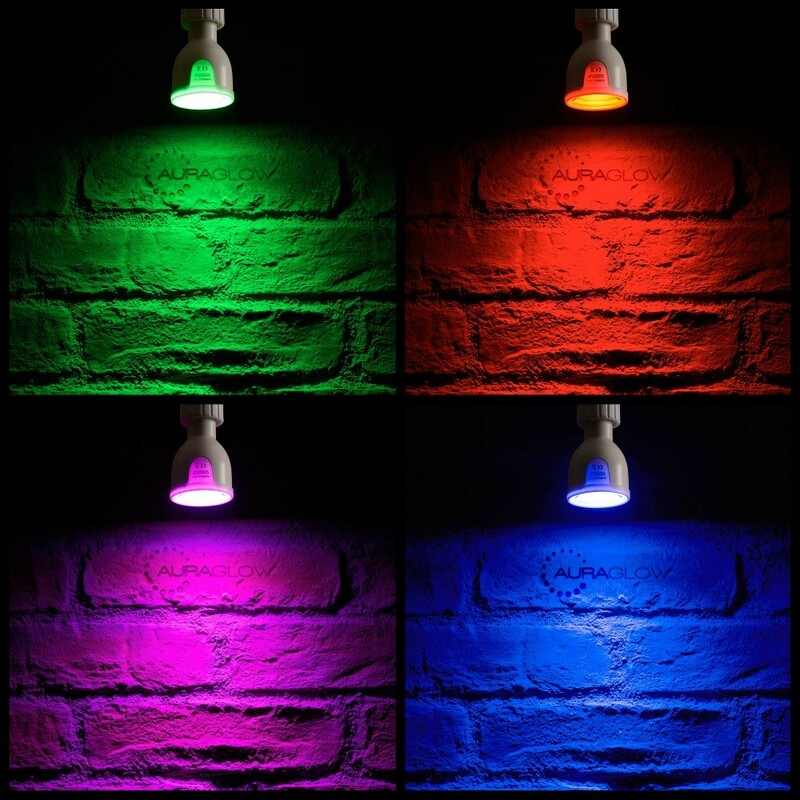 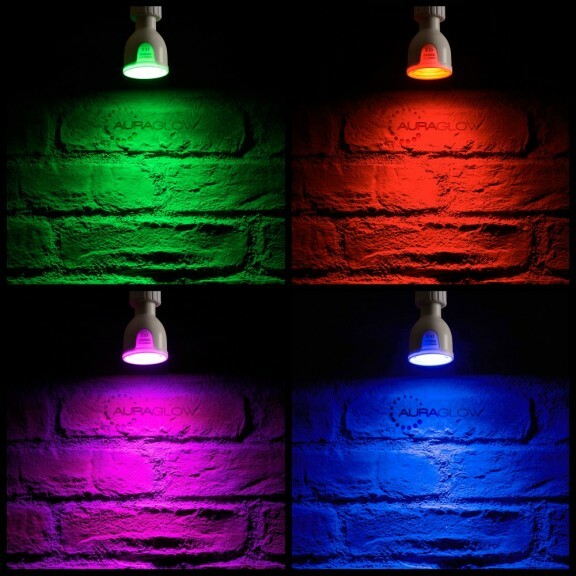 This amazing energy-saving LED light bulb is not only suitable for use as a main light due to the super bright warm white function but it also lets you change the colour - and atmosphere - of any room at the touch of a button. 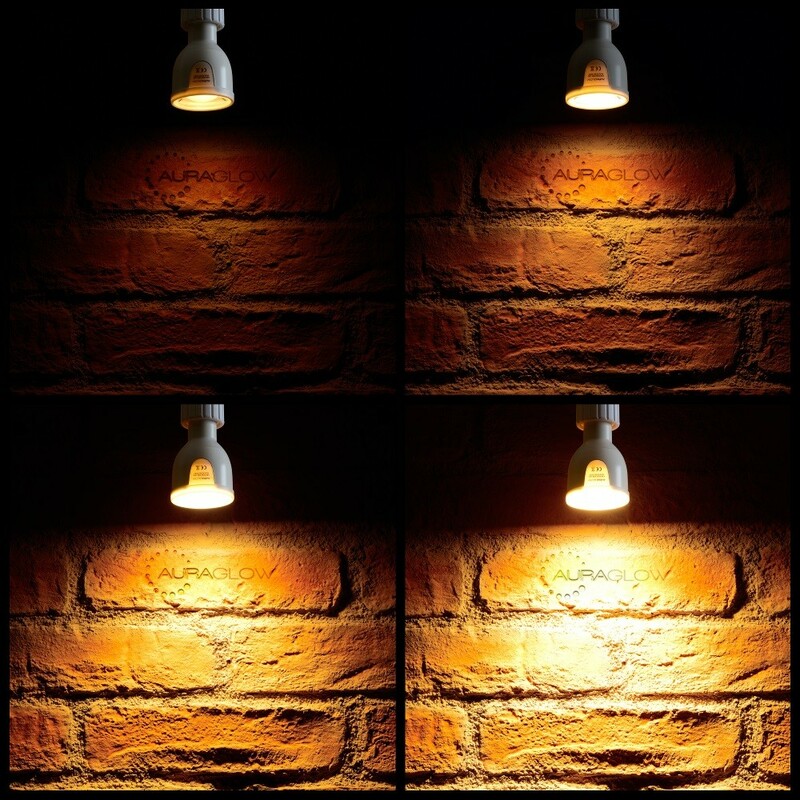 Equivalent to a 50w incandescent light bulb when on white but with the ability to instantly change the colour of your room, or be used as a dimmable lamp without the need for a dimmer switch installed. Transform your lounge...jazz up a teenager's bedroom...add style to your kitchen...snuggle down in your bedroom...the amazing Auraglow lets you bathe any room in mood lighting that spans the colour spectrum. 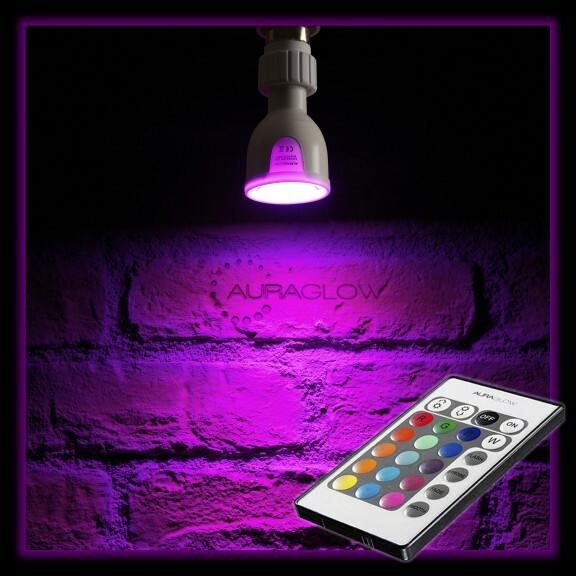 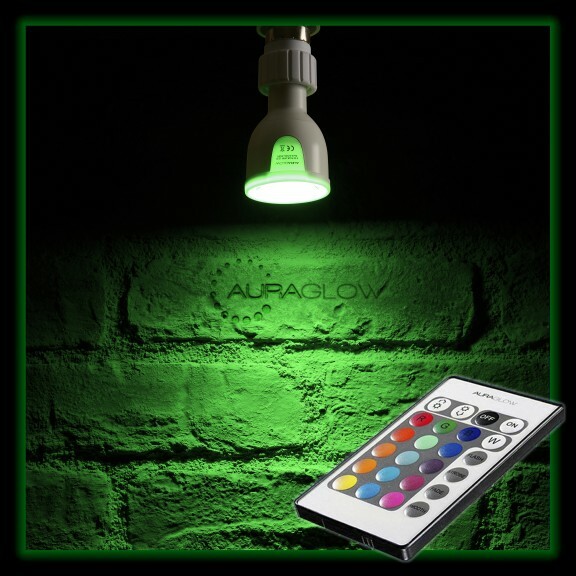 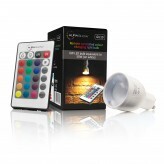 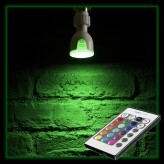 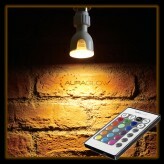 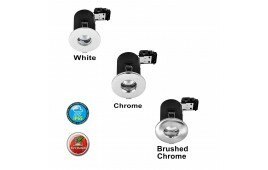 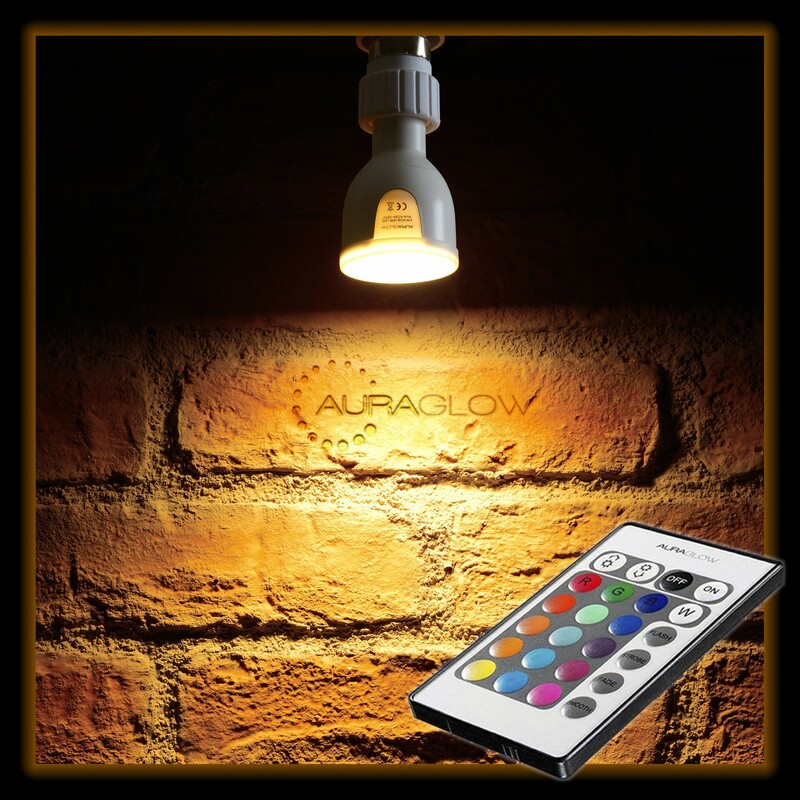 With the compact remote control (included), you can switch the Auraglow bulb on or off, change the colour, Dim the bulb, change to Warm White light or choose one of the five colour changing programs. 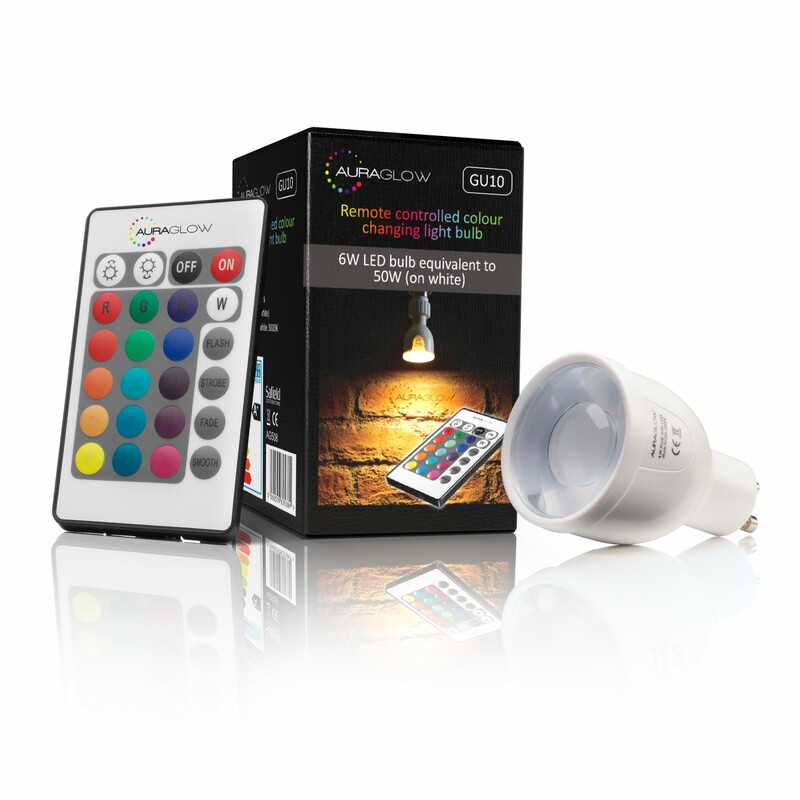 Only one remote is needed to control all Auraglow bulbs in your home - it's as simple as that - No WiFi, Bluetooth, Apps or external hardware required!